Lilford Hall is a Grade 1 listed stately 100 room home with a 55,000 sq ft floor area, located in the eastern part of the County of Northamptonshire in the United Kingdom. A Grade 1 listed building is considered by the UK Government as of outstanding architectual and historic interest. Lilford Hall was built around 1495 for William Elmes as a Tudor mansion. Major enlargements were made in 1635 for William Elmes. Alterations were then made in the 18th Century by the prominent architect Henry Flitcroft for his grandson Thomas Powys. 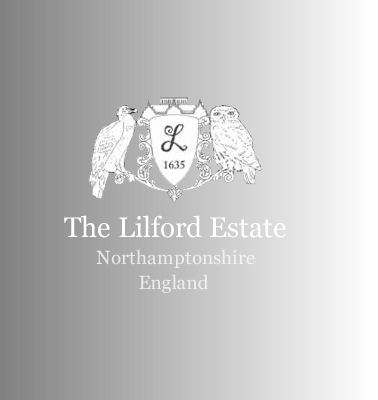 Lilford is Jacobean-style gentry house of the 1630s, related closely with Thorpe masons through its parallels with other neighbouring houses such as Kirby Hall and Apethorpe Hall. Its plan is traditional and arranged around a 'U-shaped' court with the hall entered by a screens passage, the Great Chamber placed over the hall, leading to the principal apartment that terminated with the Great Bed-chamber. Its development by successive generations of the Powys family, who acquired the property in 1711, respected the old house, but each stage has a clarity that is clearly legible and contributes to the whole. Apart from the construction of the pair of balancing stable wings by Henry Flitcroft and the successive addition of small scale extensions in the form of additional storeys to the east end of the two wings, works were confined to alterations within the house and remodelling. The Jacobean house is considered as of considerable significance, and Henry Flitcroft's alterations in the 1740s are of a similar status. The outstanding contribution is that of Henry Flitcroft in the c1740s with his insertion of a comprehensive set of 18C interiors that not only transformed the principal rooms into a sequence of Palladian spaces, but brought light into the heart of the building. The play of the sequence of 18C rooms within the structure of the Jacobean house is one of the most notable features of the house. The play between these 18th Century interiors and the Jacobean exterior is a major feature of Lilford Hall. The alterations of the early 19th Century are of some significance as are William Gilbee Habershon's work in the 1840s. However, the latter was primarily concerned with the exterior and the integration of the garden with the house. Of more significance is the extension of the house in 1909 by William Dunn and Robert Watson of Dunn & Watson whose proposals extended the north and south ranges in an imaginative way reminiscent of other Scottish architects such as Sir Robert Stodart Lorimer. The relationship of the Hall to its setting is also notable, particularly because of the integration of the house with the pleasure grounds and deer park. The Park was formalized between 1747 and 1776 by removing all of the existing village (12 houses and the vicarage) as well as St. Peter’s Church, which buildings were all located close south of the Hall. The remains of the church were then used to build a folly near the Achurch end of the Park. “Impressiveness is the chief attribute of Lilford Hall as a specimen of architecture. It towers among the big trees and rolling lawns by the River Nene, a fine specimen of complete design of the stately order of Renaissance-Tudor work (the second phase of Renaissance architecture is now known as Jacobean). Unlike most of the great houses of that time it is very lofty, very compact, and has no after-thoughts or additions. Though really developed from an earlier mansion, it looks as though it had taken shape in everlasting stone, exactly as the architect conceived the design and set it out on paper. The grey limestone of which it is built is so good and hard that were it not for the lichen on it the house would appear new, so sharp are the mouldings, and so little touched by time. It is a splendid house, clean cut and upstanding. The very chimneys are like colonnades of stone, sky touching, cloud compelling. From the pierced parapets of the terraces below the stepped gable tops and massive oriels of the front all is a perfect whole, imposing from its concentration and mass, and most appropriately set in scenery, which owes much to its trees and little to natural outline, so that the appearance of the house is rendered more striking by contrast.